BBMC Mortgage, a division of Bridgeview Bank Group, is a lender in all 50 states. 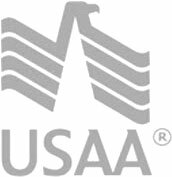 They offer Conventional loans, USDA loans, and Reverse Mortgages, as well as VA Loans. In fact, BBMC Mortgage puts a special emphasis on veterans and giving back to the community. For each qualifying loan that closes with them, they donate $150. Since January of 2015, they have donated over $2 million to veterans and active duty charters. Not only has BBMC Mortgage donated money to veterans and active duty charters, but in 2016 and 2017 they also held a sweepstakes for the households of veterans and active service members. In 2017, four lucky households had all their mortgage payments paid for a year. Bridgeview Bank was founded in 1971, and BBMC Mortgage is its lending division.